Mmm.. I’m hungry! I want food! 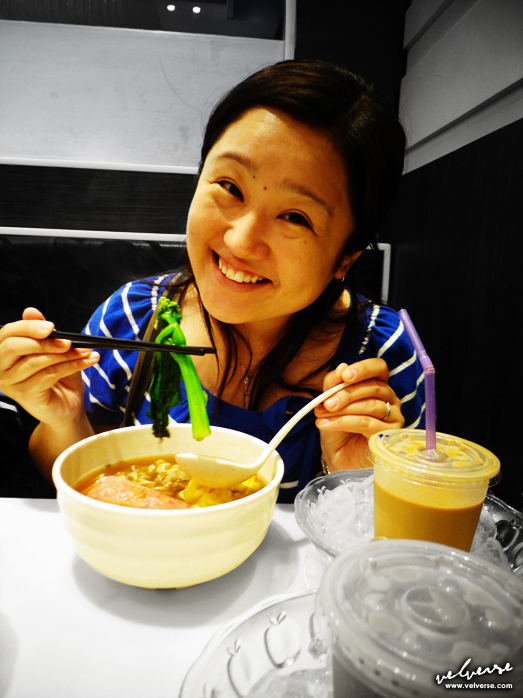 I’ve been saving all my stomach spaces to try out the local Hong Kong cuisines. 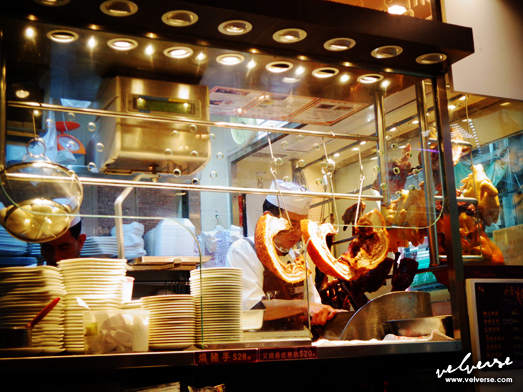 And the moment we saw Hong Kong style restaurants.. we immediately gone crazy! 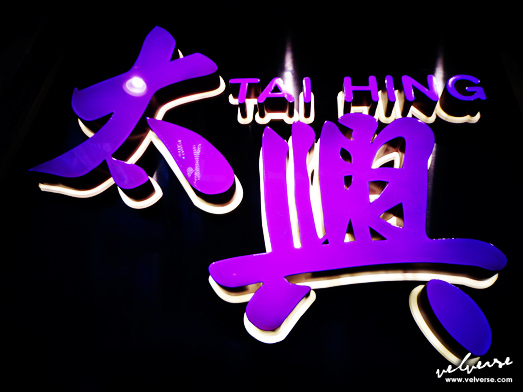 Right.. Tai Hing Restaurant (å¤ªèˆˆé£²é£Ÿé›†åœ˜) somehow manages to stood out among the others. For me, it’s clear that their logo are of my favourite colour. And that does it for me. Ah… yes.. such a beautiful sight isn’t it? I know… I am kinda shallow. I tend to die in the hands of good looking food. Ooo… which I find the combination quite funny. Yes, quite fusion in my opinion. Asian style noodles with western style toast. But hmm… who cares, so long as it tasted good. Me and my cuz.. yes, of course great mind thinks alike. Which includes luncheon meat and scrambled eggs instant noodles. Oh yes, can see her happy and contented look right? Now who wouldn’t! I’m seriously have no clue what luncheon meat they use. But I can for sure tell it tasted so damn good. Even better than those type we found in Malaysia. Yes, the luncheon meat in Hong Kong is something to die for. To me, and probably my cute cousin..
Hong Kong is the land of french toast. Probably land of luncheon meat too. But right.. the deep fried bread… done to perfection. With a dash of butter right in the middle. Oh.. and did I mention, I love how my cuz professionally poured the maple syrup. But I was somewhat disappointed. Yup… sadden by the fact that there wasn’t any peanut butter in the center. I’m sorry but yes… peanut butter make hell lots of difference. Yes.. you know.. the moment you cut it.. the melted peanut butter oozing out. And you get the mixture of sweetness from the maple syrup, saltiness from the peanut butter, the aroma and smoothness from the melted butter. Ooo.. it just blends in so well. Although I was a little disappointed with the French Toast.. the iced yin yong (iced milk coffee mixed with tea), or I should say chilled yin yong (HKD3 to upgrade drinks from breakfast set) manages to brighten up my day. The first time milk tea served to me in this manner, which I pretty much like. You get a chilled drink, without the ice diluting the milk tea. And yes.. this might not be the best milk tea in Hong Kong. But beyond comparison to the ones in Malaysia. But then again, me being me… I need my super kau-kau coffee. Hence I opted for iced coffee at the same cost. Let’s start to plan where to shop! Haha..